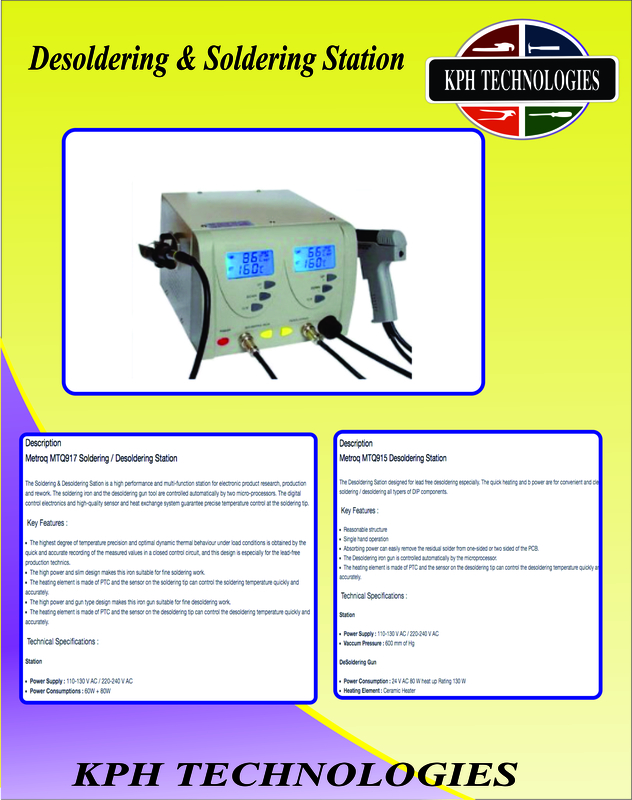 1 - The Soldering & Desoldering Sation is a high performance and multi-function station for electronic product research, production and rework. 2 -The soldering iron and the desoldering gun tool are controlled automatically by two micro- processors. 3 - The digital control electronics and high-quality sensor and heat exchange system guarantee precise temperature control at the soldering tip. 4- The highest degree of temperature precision and optimal dynamic thermal behaviour under load conditions is obtained by the quick and accurate recording of the measured values in a closed control circuit, and this design is especially for the lead-free production technics. 5- The high power and slim design makes this iron suitable for fine soldering work. The heating element is made of PTC and the sensor on the soldering tip can control the soldering temperature quickly and accurately.